Jimmy led a simple life in a remote village in Haiti until the age of twelve, when he moved to Paris. He has worked in musical theatre in Spain, spending three years with a musical theater "La Belle Epoque", and has had a successful career as an international model. Jimmy moved to Los Angeles in 1998 and immediately started honing his chosen craft by lending his abilities to underground and independent films. That eventually led to him landing a role in Jean Claude Van Damme's "Derailed", which set the stage for subsequent roles with other Hollywood A-listers. He went on to shoot "Tears of the sun" with Bruce Willis and Monica Belluci, "Hollywood Homicide" with Harrison Ford and Josh Hartnet, "Monster-in-law" with Jane Fonda and Jennifer Lopez and "The Miracle match" with Patrick Stewart, Wes Bentley and Gerard Butler. He played the lead role in "The Diary of a tired black man " and in "Phat Girlz" starring opposite Oscar winner Monique Imes Jackson as her love interest. Jimmy portrayed the charismatic Rene "the Haitian" in the hit TV show "Heroes". With an international appeal, he's been working in many parts of the world including France, England, Indonesia, Ghana, Nigeria...making full use of his ability to speak 5 different languages. 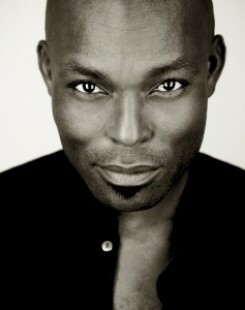 He received a best actor nomination in the movie "Sinking Sand" at the AMAA 2011, the equivalent of the African Oscars.